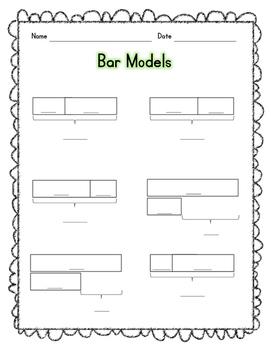 Practice solving bar models! One worksheet has numbers filled in and ready to solve. 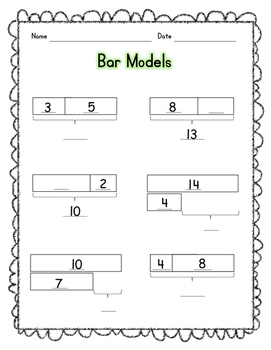 Blank worksheet can be used in different ways: 1) fill in numbers and make copies to use as an extra sheet for homework or "patience pages" for early finishers in class (easy to differentiate by choosing the numbers you fill in) or 2) provide students with the blank worksheet while you read them word problems and have them fill in the numbers in the correct places to solve!